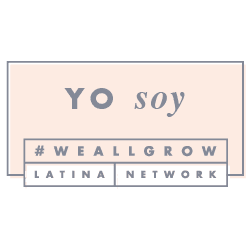 Disclaimer: I was provided with the materials in this blog post by Allied Hispanic, with the purpose of creating and sharing a 'Disney's The BFG' DIY project with my followers as part of this movie's campaign. However, all opinions are 100% my own. Oh do we have a whimsical treat for you! If you have been following along our blog, you know by now that we love everything Disney, and everything magical. To those ingredients add a little BFG magic and you've got yourself a fun family project to celebrate the release of this ENORMOUS adventure that will be available on Blu-ray/DVD and HD Digital Copy November 29th, 2016. Get your Dream Jars ready to celebrate the occasion, I promise that no matter how old you are, you will really enjoy creating these fun & colorful jars. 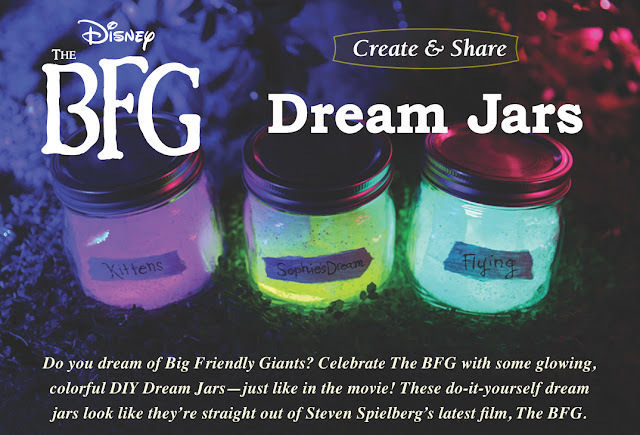 Tips: Try creating the glow-in-the-dark labels before you stuff the 'Dream Jars' with the magical ingredients, since it may take a little while for the paint to dry. Add enough paint to the labels, and hit them with a flashlight to activate the glow in the dark paint. I used a thick pencil to trace the name in the label, and to edge it to make it look old. Then place the rest of the items inside the 'Dream Jar' following the free downloadable instructions provided in this ost, turn off the lights, and have loads of fun! Thank you for joining our #justhappiling community. 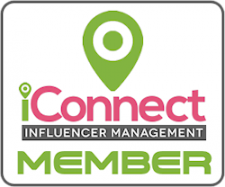 Don't forget to follow along on social media and at our blog for upcoming news and giveaways.